Lines from Linderhof: Pillow Talk -- Again! I love needlepoint pillows and have done many of them which now reside on chair seats in Linderhof's living room. I must admit that I cannot resist a piece of needlepoint at a flea market or estate sale if I think it will fit comfortably on a chair at Linderhof. Great stitching and great colors -- with the touch of pink it fits perfectly into the Master Bedroom and the other pink pillows that reside there. It goes well on this little chair methinks. 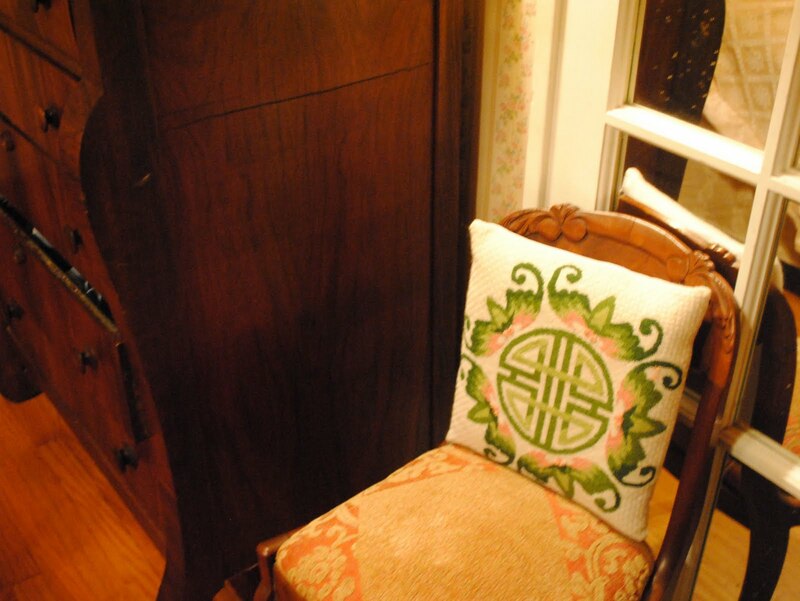 Hard to believe someone would give up this beautiful pillow (heirloom, I'd think) to a flea market. It seems, however, to have found the perfect home at Linderhof! Wow! Did you ever find a gem. 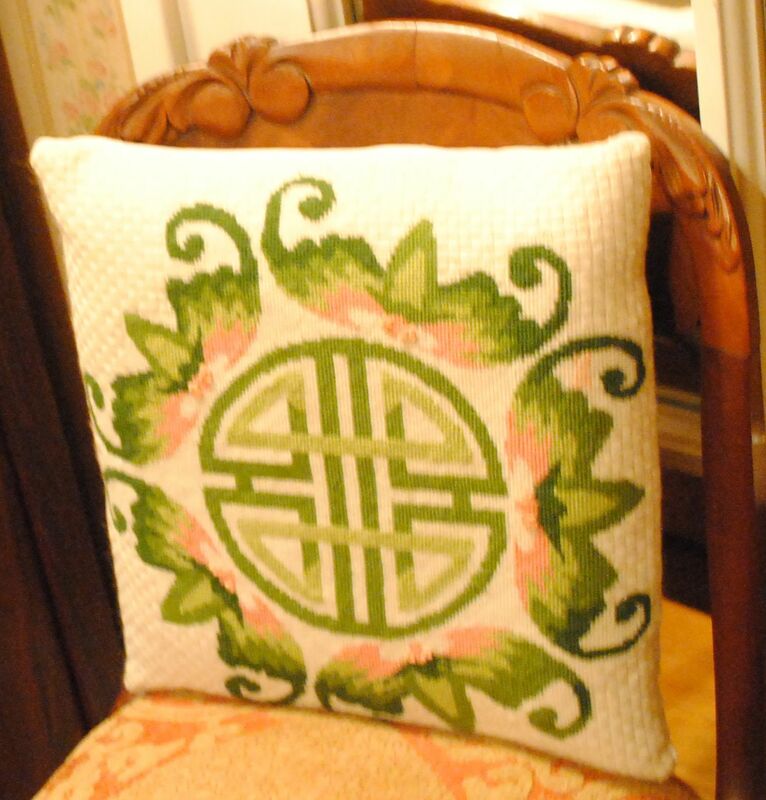 I love needlepoint pillows but can't afford them! As far as I'm concerned, this is equivalent to striking gold! Congratulations, Martha, great hunting! Your needlepoint pillow is beautiful. I always have a needlepoint project going. Right now I am working on a pillow for DD for Christmas. I find it to be very relaxing. I think needlepoint pillows add so much to a home and yours is just gorgeous. Your gain. Love the colors in that pretty pillow! I love your needlepoint pillow too. They are really timeless and classic. They are a wonderful to add in just about anywhere! Happy Pink Saturday! Martah this is an amazing work of art. Also you must read my interview with The Empress of the Eye!! Her collection is stunning! She is giving a pillow from fabric embroidered by the Otomi Indian tribe. Just perfect. I'm so glad that little piece of needlework found an appreciative home.